Purchasing a new home is an important investment. Whether you are buying your first vacation home or a primary residence, home ownership comes with many benefits. Although many first-time buyers rely on real estate professionals, such as real estate agents and brokers, to protect their interests and walk them through the process, it's better to school yourself on a few specifics about buying a house before you make an offer. Most first-time home buyers don't have enough savings to buy a home outright; they must finance the purchase. 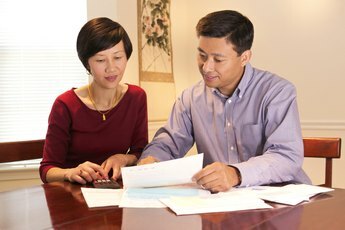 Lenders will evaluate your debt to income ratio to determine how much you qualify to borrow. The percentage ratio also helps lenders determine whether you can afford to make the monthly payments and maintain other debt obligations. Before applying for a mortgage loan, divide your monthly debt by your monthly gross income. Lenders approve applicants and determine the amount of the loan based upon a qualifying ratio. Review your credit report to ensure that it is accurate and complete. Negative reports on your credit history may not prevent you from obtaining a loan, but if your debt to income ratio is higher than the lender's qualifying ratio, you may need to reduce your monthly debt by paying off creditors before applying for the loan. You may be required to provide a pre-approval letter from a lender before the seller's agent and broker will accept your offer to purchase the home. You have the option to shop around and evaluate the best loan options. Lenders require prospective borrowers to provide proof of income, work history, debts and assets. The pre-approval letter demonstrates that the lender will approve your loan application within a certain time frame. Most pre-approval letters expire within 60 to 90 days of the date of the letter. You may be required to furnish a down payment toward the purchase price of the home. Lenders do not include the down payment in the loan amount. However, many lenders require home buyers to make a down payment equivalent to a certain percentage of the purchase price of the home to qualify for the loan. Consider how much you are will to pay as a down payment by evaluating your budget, and provide this information to the lender. The lender will either offer a mortgage loan with a variable or fixed interest rate. Variable interest rates may change periodically throughout the course of the loan term. Fixed interest rates remain constant. Your repayment plans, including the principal balance of the loan and the interest rate, is important information to clarify with the lender. The rate affects the amount of your monthly payments. Review the HUD-1 Settlement Statement, which itemizes all of the settlement and closing costs. The title company prepares the statement, and you or your agent may request a copy before closing. After obtaining a copy of the statement, your real estate agent or attorney can review the documents with you to help you understand the breakdown of costs. The most common costs you may find on the settlement statement include points and other costs associated with settlement and closing. Points are fees charged by the lender. Each point is equal to a certain percentage of the loan. These fees often are used to help borrowers obtain a lower interest rate. Other settlement and closing charges are loan application fees, appraisal fees and inspection fees. What Determines Your Mortgage Prequalification? 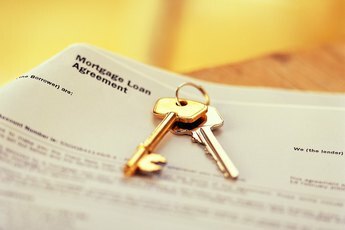 Should I Sign a Mortgage Disclosure That Is Incorrect?